Being “In Crisis” – WellPsyche. Beyond. It’s probably not surprising that as a psychiatric mental health provider, I work daily with people who are in crisis. Over the years, I’ve noticed that fewer and fewer people are aware they are in crisis when they come to see me. There are probably many reasons for this but I think one of the overarching reasons is this: We are so constantly bombarded by crises in the news and on our social media feeds, we have become desensitized to the very nature of crisis. Another client was diagnosed with cancer. She’s scared, hopeful, overwhelmed, and in crisis. A teenage girl’s father died unexpectedly and she’s trying to adjust to a new normal without her father. She’s in crisis. A 7 year old boy has been enduring serious bullying at school this year, and just told his mother about.. He’s having nightmares and frequent stomach aches. Crisis. Perhaps it’s because we are creatures of comparison and are constantly reminded that someone else’s situation is worse than ours. And there is benefit in recognizing that things could always be worse. But there’s also potential for significant harm, at worst and needless prolongation of suffering, at best, when we deny the existence of our own crises. Please hear me say this: If you are experiencing a life event that has significantly altered your schedule, your routine, your support system, your job status, your health status, your perception of your self worth or your role in life, challenged your core values, your faith or spiritual beliefs, you ARE in a crisis. Merrium-Webster defines crisis as, an emotionally significant event or radical change of status in a person’s life. Accepting that we are in crisis when we are, indeed, in crisis, allows us to begin the process of getting out of that crisis. Your daily needs will change. You may need more sleep, dedicated quiet time, more time to exercise or meditate. You will most certainly need to let some tasks fall off your plate for a season. And all of this isn’t just okay; it’s very important. Be gentle with yourself. It often helps to imagine a stranger is going through your crisis, instead of you. Consider what you would expect of that person, if you knew what was going on in their lives. Would you expect them to continue their current routine without change? Would you expect them to need extra help? Would you expect them to need some time off of work or other responsibilities? We are often much kinder towards imaginary strangers than we are to ourselves. Whatever crisis you’re facing, I challenge you to acknowledge the crisis, speak up when you need help from family, friends and professionals and be kind to yourself. We are not machines and we don’t have an endless supply of energy. We must care for ourselves before we can care effectively for others. Just ask the new mom of that adorable 3 month old girl: scheduling a bi-weekly pedicure for herself and asking her mother to watch the baby one evening every few weeks, so she can watch Netflix and eat her dinner on the couch, has kept her from jumping back in the car and driving far, far away. 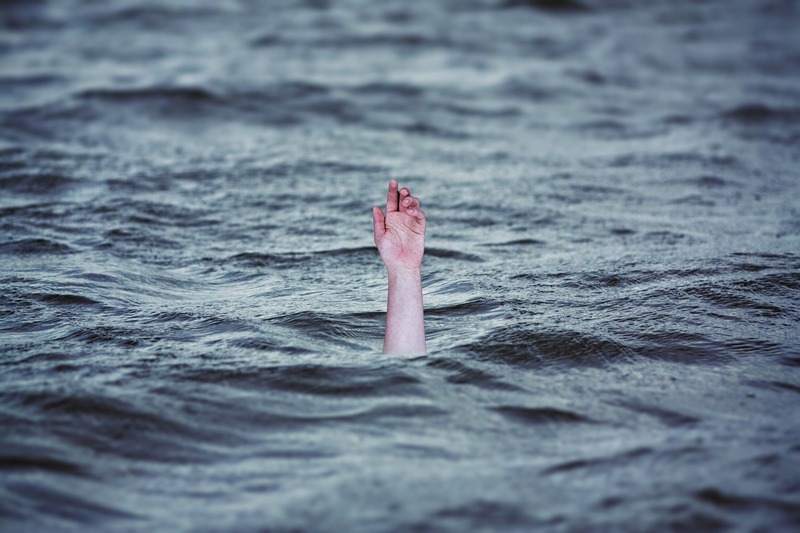 A rescue boat is often right around the corner, but we must first acknowledge we are drowning. Previous Can Mindfulness-Based Interventions Help Treat Depression and Anxiety Disorders? Next Why can’t I sleep?